A new home appliance is a big investment. And if you play your cards right and keep up with regular maintenance from a professional plumber, you could be making a decision that is going to influence your daily life for the next 15 to 20 years. According to Consumer Reports, heating your water accounts for almost 20% of all home energy costs. So you want a to choose something that is going to be energy efficient while still providing for your needs. You’ve got to take into consideration factors like the average temperature in Puyallup as well as your family size and hot water usage. With that in mind, let’s take a look at the three varieties of water heater that most homeowners choose from: traditional, tankless, and hybrid. 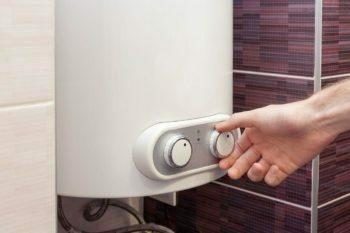 Traditional water heaters, also known as storage tank heaters, consist of a large tank of water that is constantly kept hot by natural gas, electricity, or oil. These are by far the most common type of unit. A gauge within the tank regularly monitors the water temperature, and whenever it drops below a certain point, the heating unit kicks in to warm it back up. This means two things. First, you’ve almost always got hot water to call on (assuming you have bought a tank large enough for your needs). Second, your water heater is running 24 hours a day, whether or not you are using the hot water. That’s right. Even while you sleep through the night, your water heater is wasting your energy. Tankless water heaters are sometimes called instantaneous or on-demand water heaters because they heat the water up as you use it. They do not store hot water (hence they are “tankless”), so you are only paying for the hot water that you actually use. Tankless heaters provide a significant reduction in energy costs over traditional heaters, but they do have a downside. Tankless water heaters can only keep up with about three or four gallons of water flow at a time. This means that if you run the dishwasher and the shower at the same time, your water is not going to get hot enough for either of them. So if you choose tankless, you need to understand that you are sacrificing convenience for savings. For many Puyallup homeowners, this is a worthwhile trade. Hybrid water heaters, also called electric pump heaters, draw heat from the surrounding air in order to heat the water stored in their tank. Hybrid heaters are powered by electricity and consume 60% less energy than typical electric units. The monthly savings are quite noticeable and won’t take long to make up for the hefty price tag (hybrids cost from 2 to 3 times the price of other types). Because hybrids rely on the surrounding air, there are a few installation considerations that you’ll need to take into consideration. For starters, they require 1,000 cubic feet of open space and a nearby drain for condensation. Most importantly, however, their efficiency relies on the surrounding temperature, which should range from 40 to 90 degrees fahrenheit. They function best in warm climates, but they are still a viable choice for homeowners in Puyallup, where the average temperature is about 52 degrees. When it comes down to it, any of the three options could work for you. Traditional models are ideal if you don’t need to worry about energy savings. Tankless heaters are the choice to go for if you want both low upfront and low annual costs, as long as you’re willing to sacrifice the convenience of running two sources of hot water at once. And if you’ve got the money and space to afford a hybrid, it’s going to give you the best efficiency in the long run. If you go tankless, you want to consider the gallons-per-minute of the specific model you choose. This determines how much hot water your unit outputs at once. Some homeowners even decide to install two water heaters so that they actually can run laundry and dishes at the same time. If you opt for a storage tank unit, you’ll need to find one with an appropriate water capacity and first-hour rating (which indicates how much hot water it provides in its first hour of running from a fully heated state). Ideal numbers depend largely on your household size and average water use. It can be tricky to estimate, and making the wrong choice could lead to lost money, or worse—cold showers! The good news is that a certified Puyallup plumber can help you find exactly the right water heater replacement to suit your budget and your needs. Still have questions about which water heater is best for you? Give us a call today and we’ll put our sixty years of plumbing experience and knowledge at your service.